Despite a recent media campaign by the Gas Safe Register to make consumers more aware of the dangers of cutting corners with gas safety, it seems the message still isn’t hitting home as people continue to use unregistered gas boiler fitters to try and save money. Back in December the Gas Safe Register, the official register for gas safety was instrumental in helping Coronation Street highlight the dangers surrounding carbon monoxide poisoning and faulty gas boilers as part of a Christmas and New Year storyline which left popular character Fiz Brown fighting for her life. To coincide with the episodes Gas Safe Register used the opportunity to launch a media campaign to raise awareness and warn the public about the hidden dangers of carbon monoxide poisoning. In spite of the publicity generated by the popular soap’s storyline, gas safe experts are concerned that home owners, businesses and landlords are still continuing to look at gas safety through somewhat rose tinted glasses, ultimately putting their finances ahead of their health and well being. According to recent research undertaken by the gas safety charity, as many as one in three Britons would happily install a gas appliance rather than pay a qualified Gas Safe Registered professional to do it for them. The charity’s research also revealed that a shocking number of people, 100,000 to be precise, who engaged the services of an unregistered tradesperson to undertake work on gas appliances “fell victim to illegal and dangerous work” over the last 12 months. 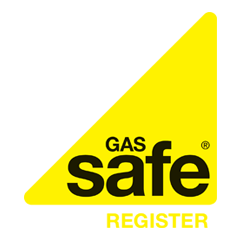 When it comes to our gas appliances, it’s vital to only employ tradespeople who are Gas Safe Registered and regular annual safety checks should be carried out on all gas appliances. It’s also highly advisable to make sure your property is equipped with a carbon monoxide alarm, and acquaint yourself with the symptoms of carbon monoxide poisoning, which can include nausea, headaches and dizziness. Carbon monoxide is known as the silent killer and it’s very difficult to determine if you are suffering from carbon monoxide poisoning because its symptoms are very similar to the common flu. “A good way to differentiate between flu and CO poisoning is to see if symptoms improve when you’re outdoors in the fresh air,” explains Paul Johnston, chief executive of the gas safety charity. In other news, the Consumers Association in Ireland is warning households that using unregistered heating engineers to carry out work on their gas central heating boilers and gas fires could not only put their lives at risk but it may actually invalidate their home insurance. The consumers’ body is calling on insurance companies to make policy owners aware of whether or not they will actually be covered on their insurance policy if they need to make a claim and have been found to have employed an unregistered tradesperson. If a claim is made for damage as a result of faulty gas equipment, the insurer may refuse to cover the costs if evidence suggests that an unregistered gas fitter had been employed to service the equipment or carried out any work.